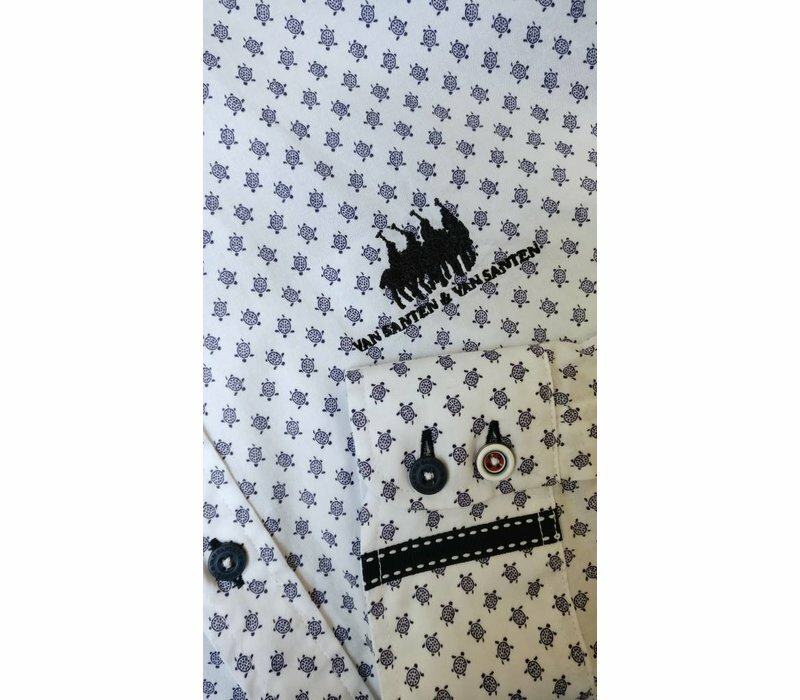 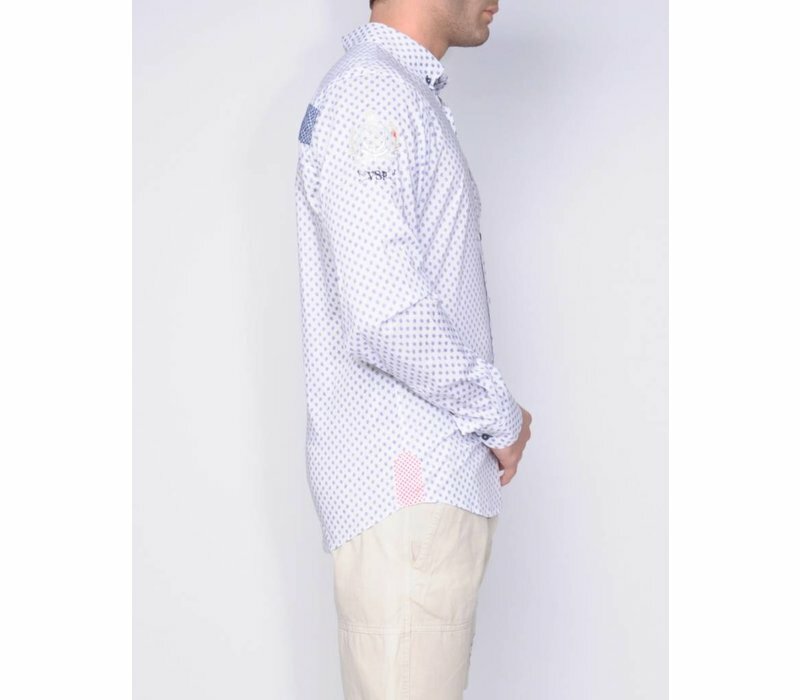 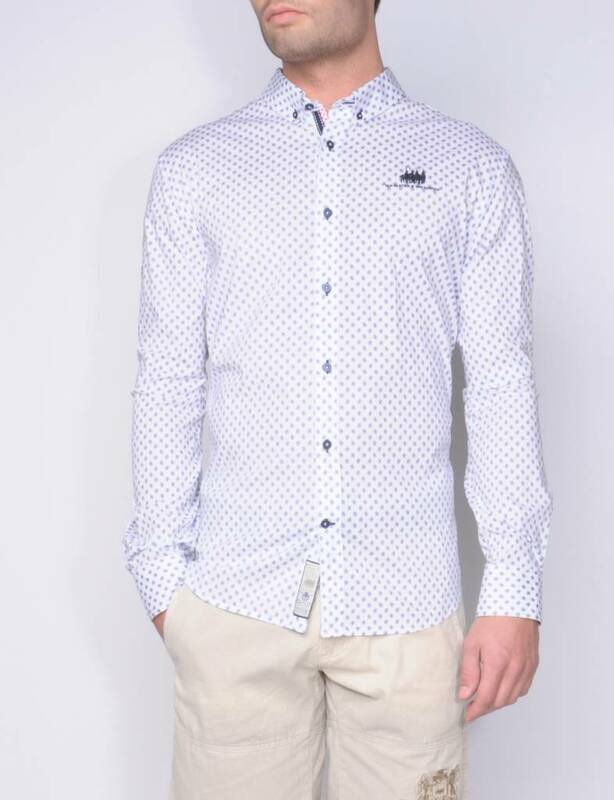 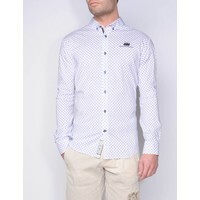 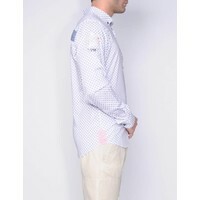 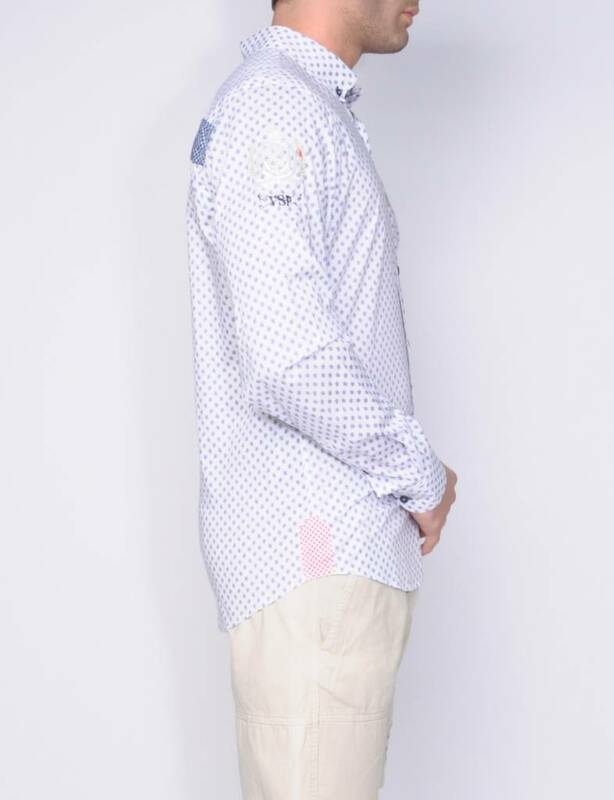 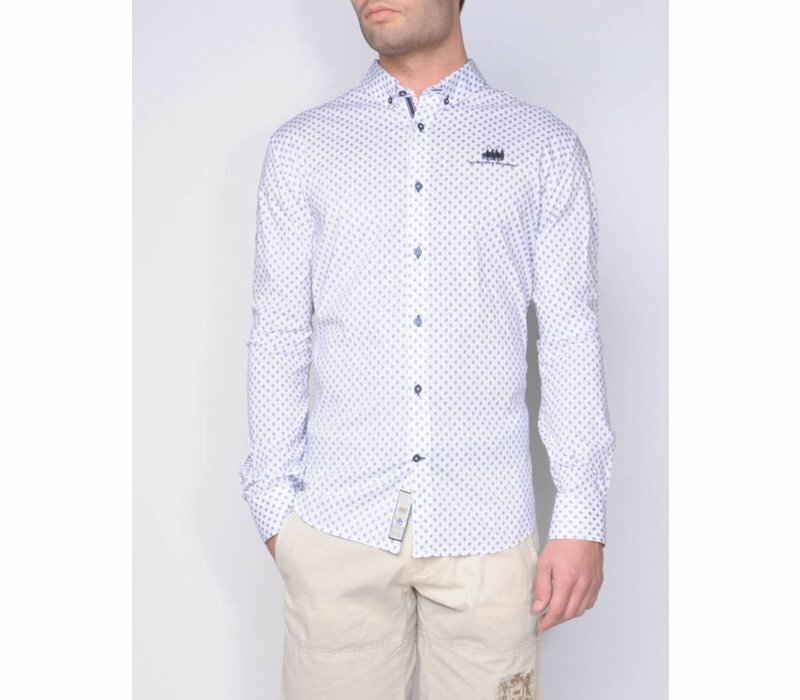 Shirt in white with mini tortoise pattern and small button down. 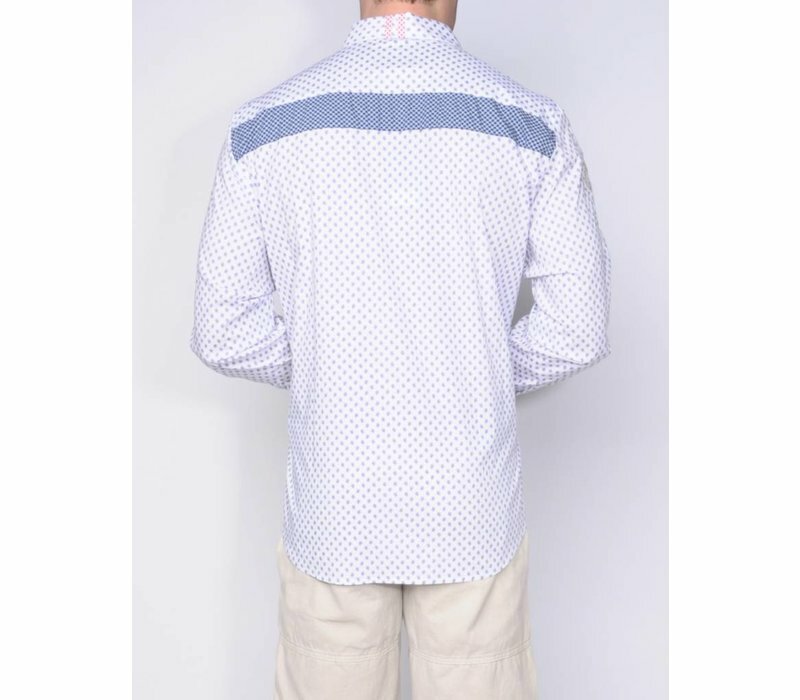 Nice detail on the back, collar and cuff in contrasting fabric and tape. 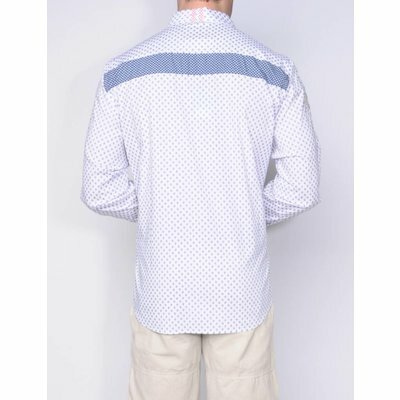 Small ton-sur-ton logo embroidery on the front and a richly developed big embroidery on the sleeve. 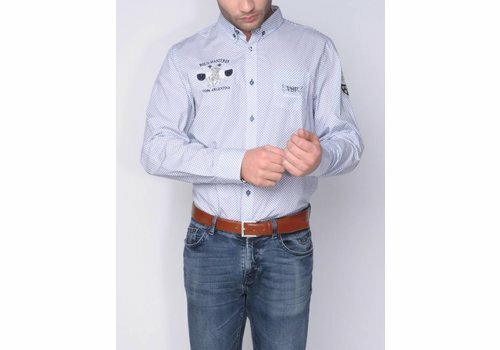 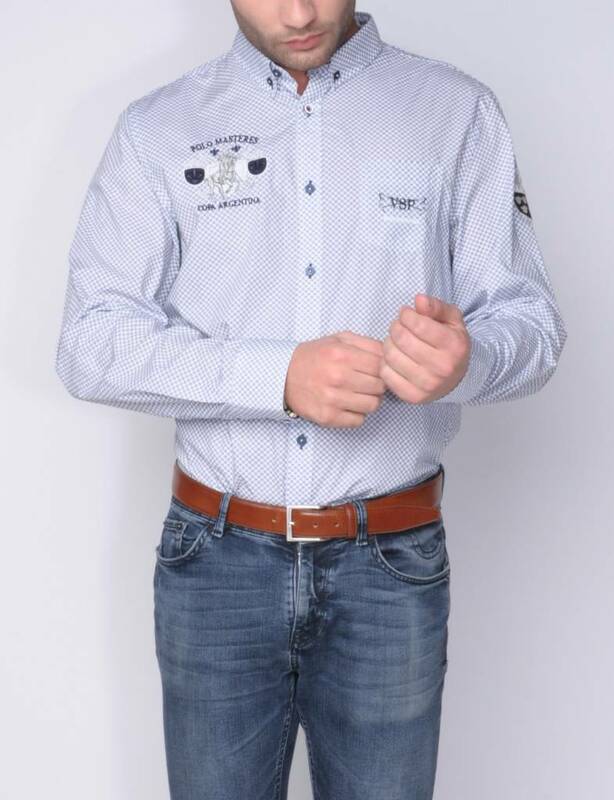 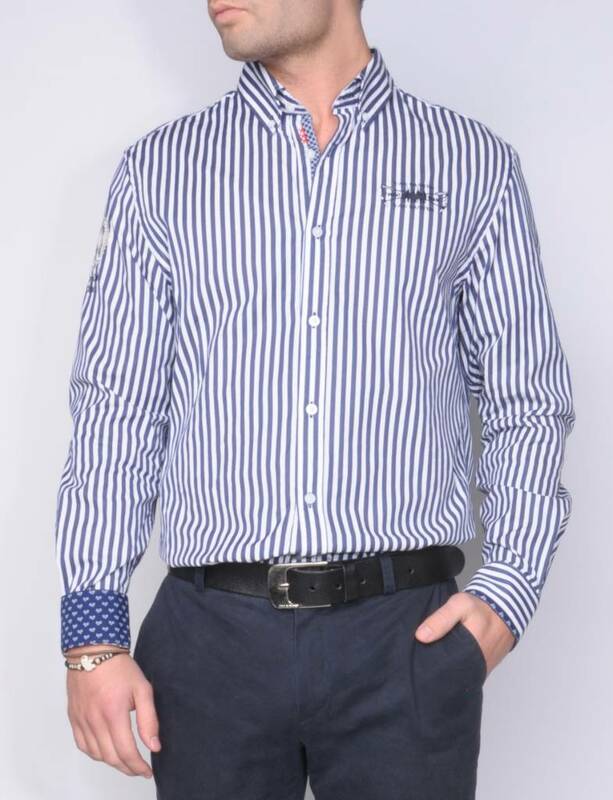 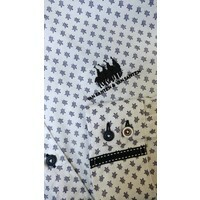 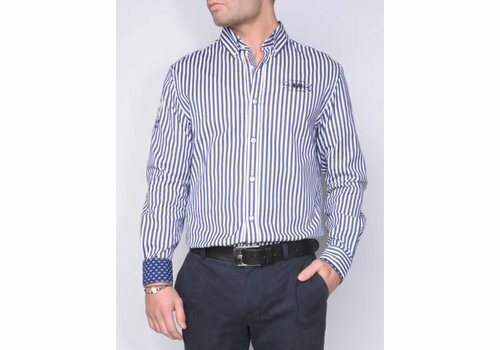 Shirt in graphic design in white/navy with button down, contrast buttons and chest pocket. 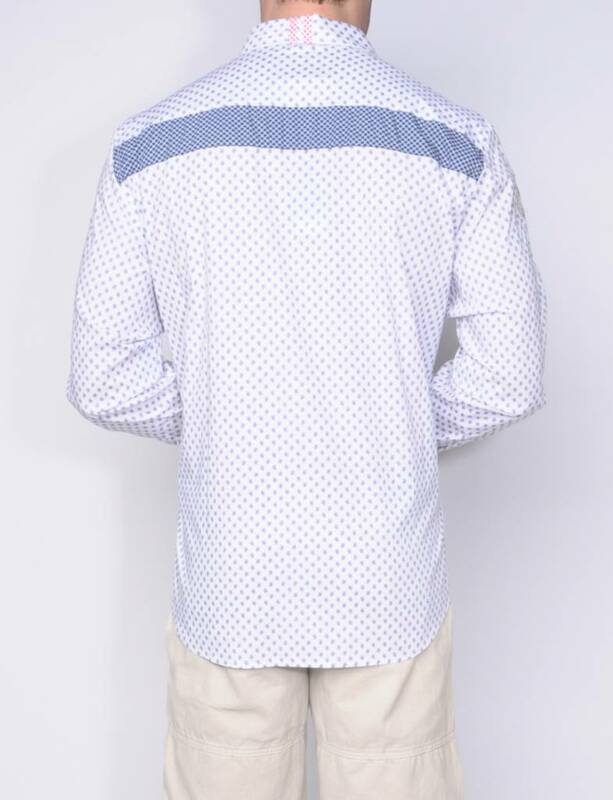 Detailed use of contrast fabrics in navy/white on inside collar, cuff and side slits. 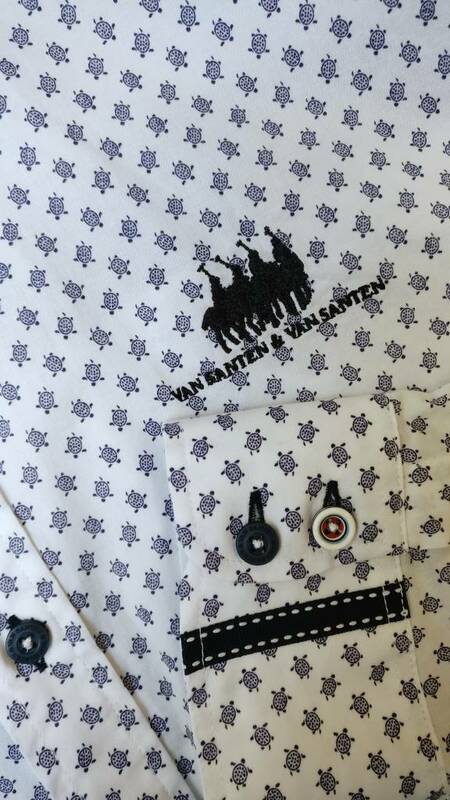 Richly decorated with ' Polo related ' embroideries.